I’m here to tell you…. you don’t need to have a lot of money to improve your home. 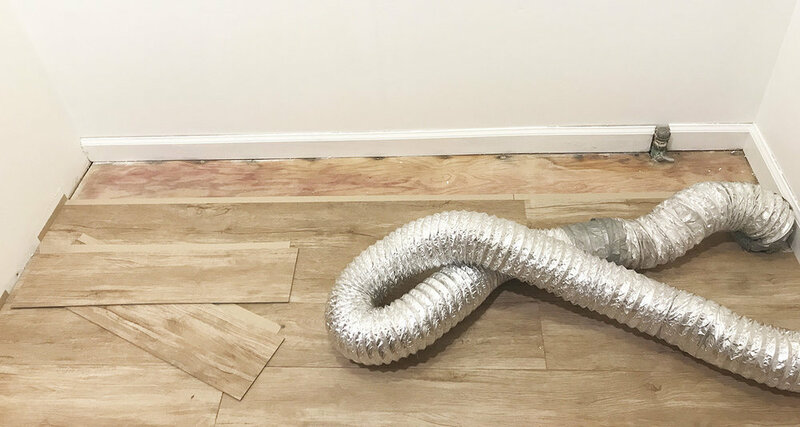 It’s easy to fall into the trap that you need thousands of dollars to renovate a room, but that simply isn’t true. 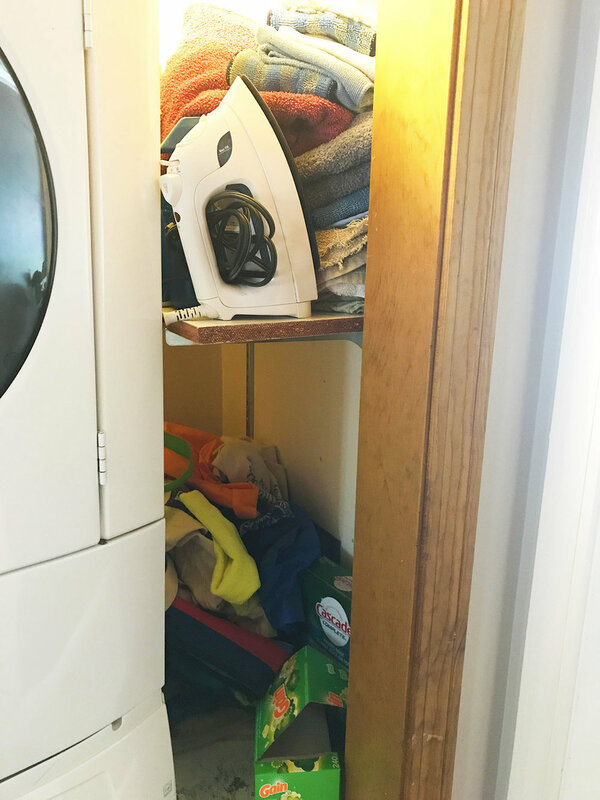 Case in point, this little laundry closet renovation I did this month. I had this horrible stackable unit I bought for my last house. I purchased it on a Labor Day sale and knew from the get go they weren’t stellar units. 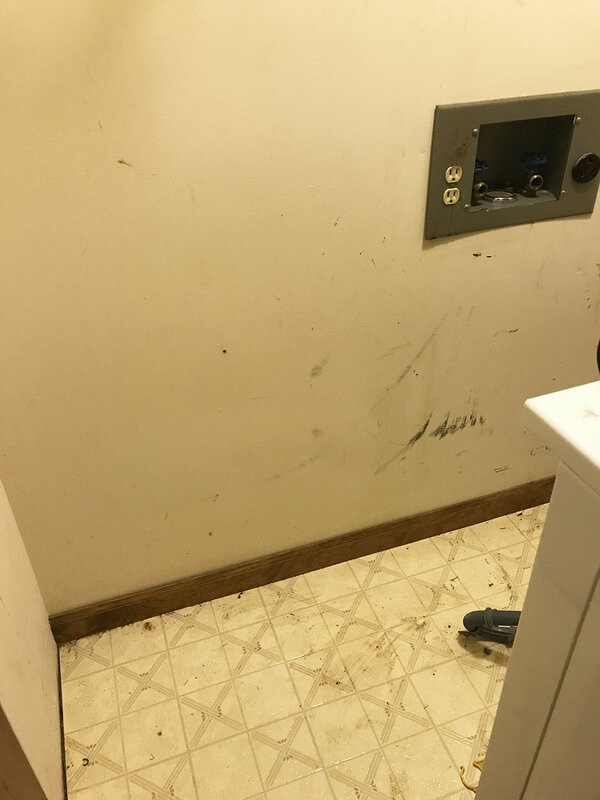 The washer was one of those front loaders that was always musty, and the dryer had a habit of grabbing clothes and twisting them until they were stretched beyond repair. 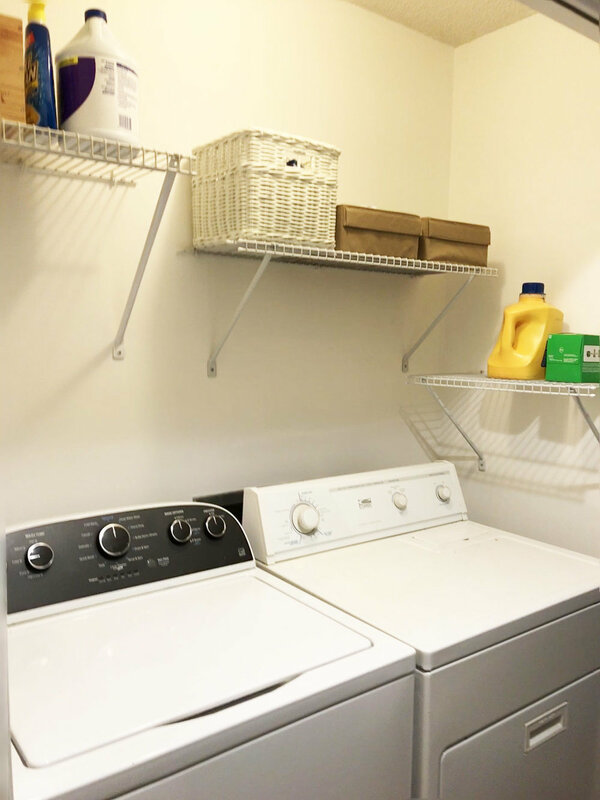 In addition to the horrible washer and dryer, I also had a very cramped laundry closet. Inevitably, my kids would dump shoes upon shoes upon boots upon jackets upon backpacks and it was just a giant heap of stuff. I also stored all my rags and washing supplies which, over time, toppled and made a mess. 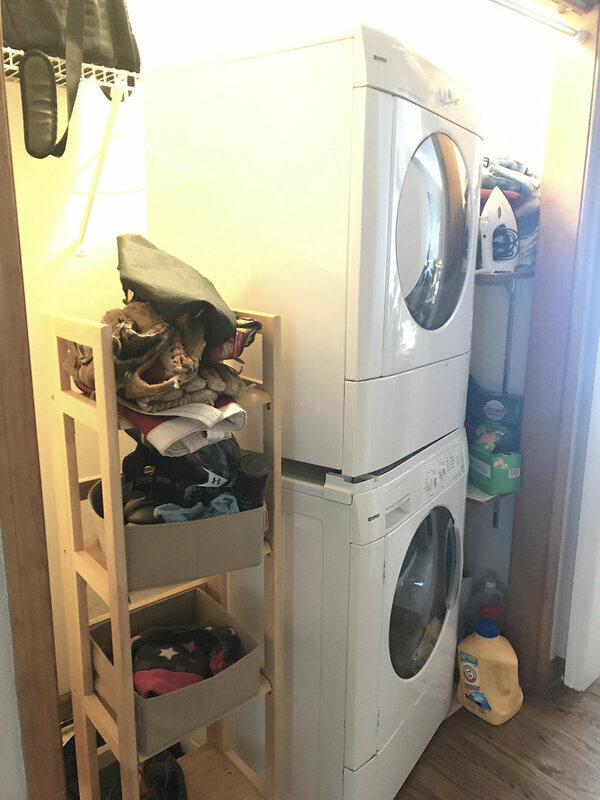 Being that I’m the laundry washer in the house (and I may be a little bit of a neat freak), this situation tormented me every time I walked by. 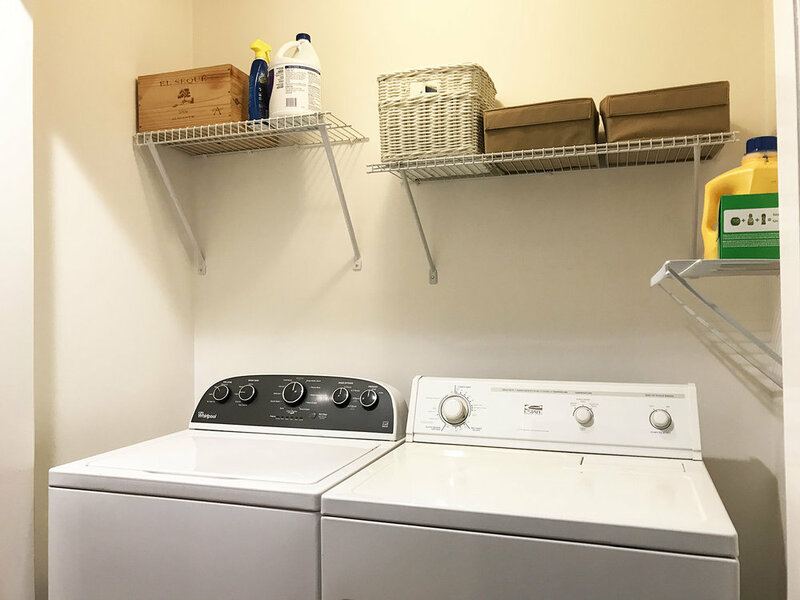 My goal – Improve my laundry situation and make my hallway passable (and pleasant). First things first. I started pinching pennies for a new washer and dryer. Lucky for me I’m in real estate and work with folks transitioning all the time. One of my friends let me know they had a gently used washer and dryer they would be selling and I jumped on the opportunity right away. 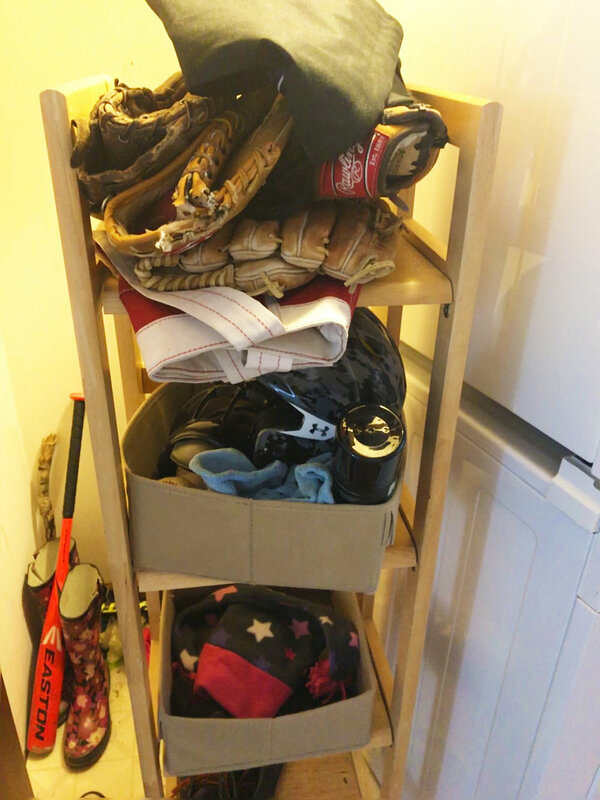 Next step was pulling everything out of the closet and finding a new home for my kid’s stuff. They are older now, 10 & 12, so I figured most of their belongings could actually be carried to their rooms (wild dreams… I know). 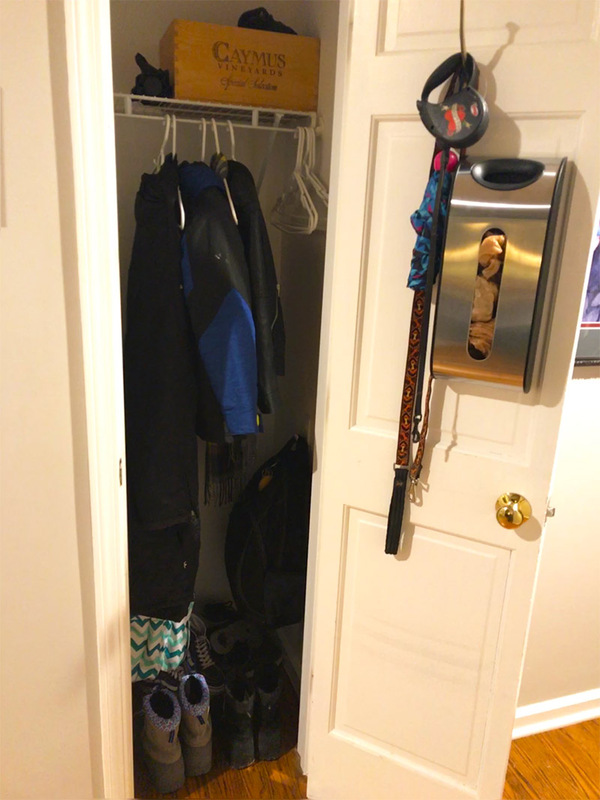 We had a front hallway closet that we never really used, so I put some heavy duty hooks for backpacks and a hook for the dog leashes and we were good to go. 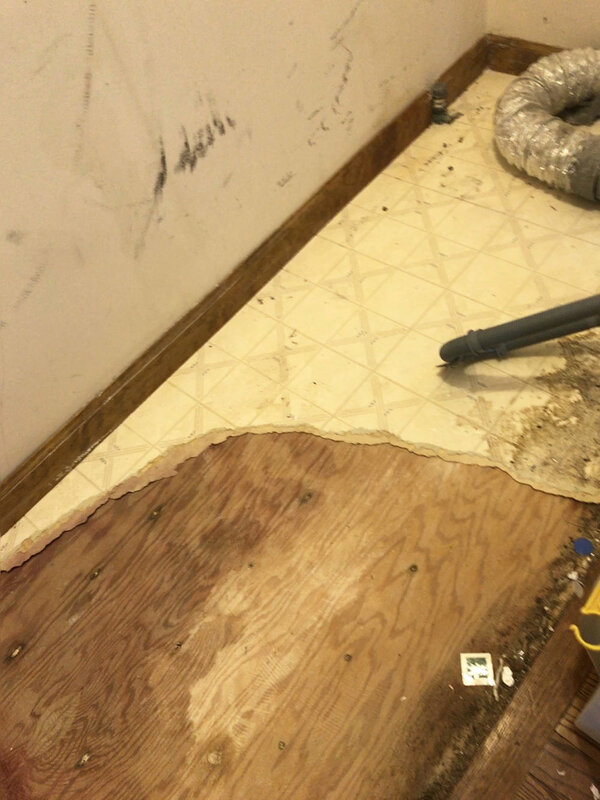 Now that the laundry closet was cleared and I could clearly see the floor I knew it had to go! I had installed a vinyl plank floor in the basement and I had a few plants left over. I thought it would be the perfect solution. They are waterproof and go down super easy, as long as they are measured correctly you just stick them together and lay them down. Unfortunately, my laundry closet, hallway, and door to the garage, are a few of the last things in my home to be painted. I figured bright white makes the most sense for the laundry so I painted the closet and all the trim white. 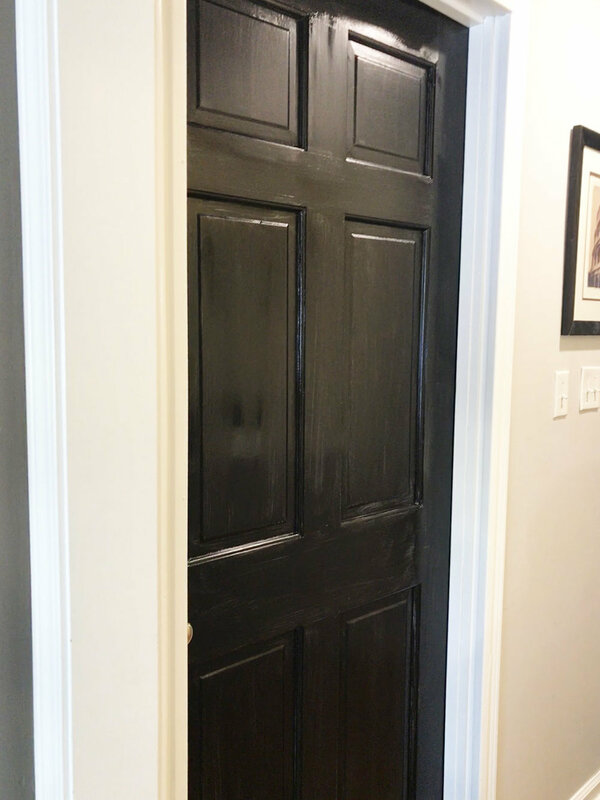 Instead of white for the door to the garage I opted for black. It looks super slick and I love it. Did you hear? Black is the new black. Once I got all the painting done and installed a few new shelves I was ready to enjoy my new laundry. I am so happy!!! I can walk down the hall and not have anything in my way. The last thing was to install the doors on the closet. Now that I have doors up I can keep some of the noise down when running laundry. Take a tip from me. Don’t worry if you don’t have a lot of money. Just think about what your goal is for the space and make cheap improvements. Paint and organization goes a long way and hardly cost anything at all. Don’t forget to consider used furniture or appliances, it can save you a ton and can be just as nice if not even better than brand new. Go out there and get after your own project. It’s so rewarding when it’s all done!